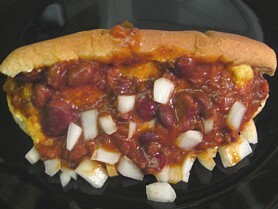 I have a problem with sloppy hot dogs. Here are some photos I've collected. 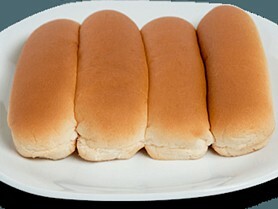 The standard American hot dog buns that one finds in a grocery store are pre-slit into top and bottom halves. 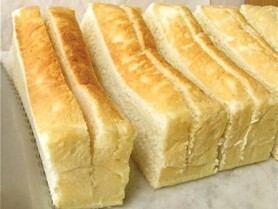 However, they've been baked touching each other, so you have to separate them. 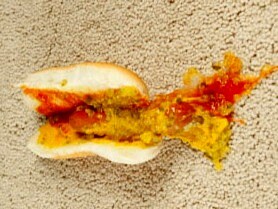 In the process of tearing them apart, it's hard not to rip the hinge between the top and bottom halves, leaving holes where the mustard can leak out onto your hand. When possible, I buy New England lobster roll buns. They're slit on the top, and there's no danger of tearing the hinge. 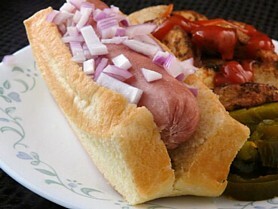 But does the hinge open wide enough to accommodate the wiener and its condiments? 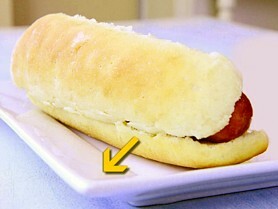 Or, when you squeeze the left and right halves of the bun together, is there a danger that the contents will squirt up and slide out the open top? It's time to start looking for better-designed wraparounds from other nations. 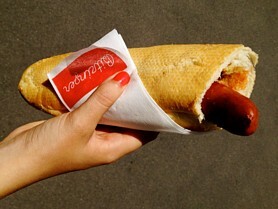 For example, Austrian hot dogs consist of a sausage inserted into a hollowed-out half baguette. 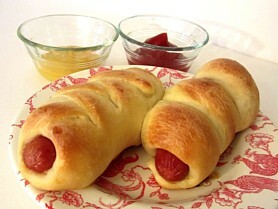 And Chinese hot dogs are sausages baked inside pastry. You can dip them into condiments for each bite. Clean up your act, America!